I could have put a really corny line like "It was the best of soups" or "worst of soups" right here. But I didn't. You're welcome. 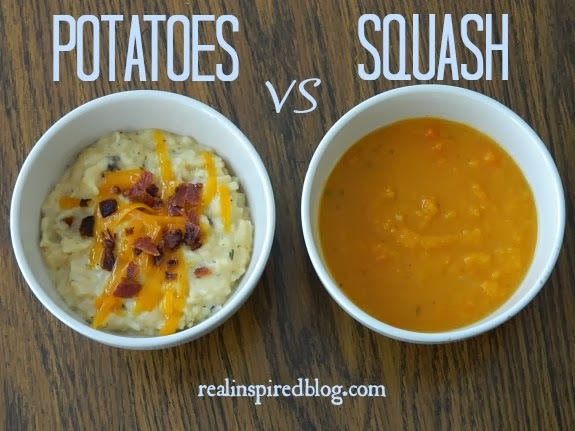 Soup A: Butternut Squash Apple Soup - A friend shared this recipe on Facebook. I'm not a big fan of squash, but I can eat roasted Butternut Squash so I thought I'd try it. It was healthy and the addition of the apple got me curious. Now, I knew Hubby was not a fan of squash. I did not know that he was not a fan of cooked apples either. This soup made history in our house because, in the 4+ years we have been married, Hubby has boasted that I've never made him a meal he didn't like. There goes my spotless record. Conclusion: Good soup to me, bad soup to everyone else. Even Little Man made a face at the first bite. And that is not a normal response for him. I thought it tasted better the next day. I probably won't make it again because I would be the only one eating it. It took a lot of work and time to peel and chop all those veggies. Not worth it for one person. 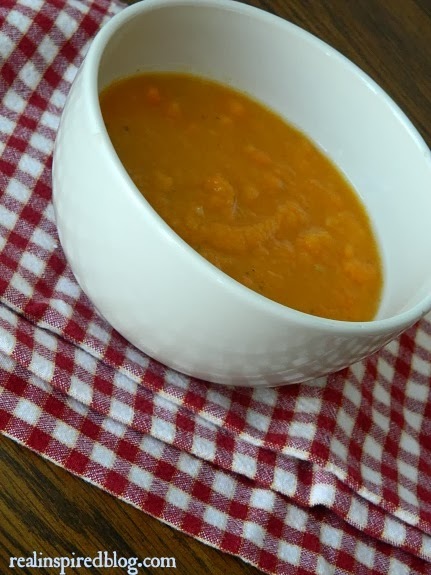 Soup B: Slow Cooker Cheesy Hashbrown Soup - I figured this soup would go over well. Really, how can you go wrong with potatoes, cheese, and bacon? Probably not the healthiest option but great comfort food! Conclusion: Everyone was VERY happy with this soup! I think I redeemed myself. And I think potatoes will always win in our house. It was just about the easiest soup you could make. 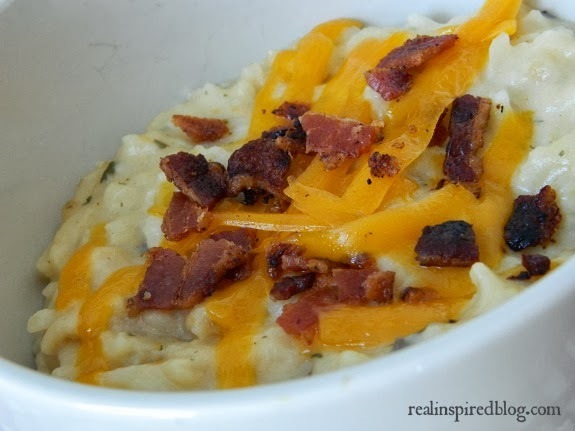 The most work I did for this soup was cooking the bacon and grating the cheese. I dare you to mess this one up. I hope you try at least one! Which one do you think would win in your house?